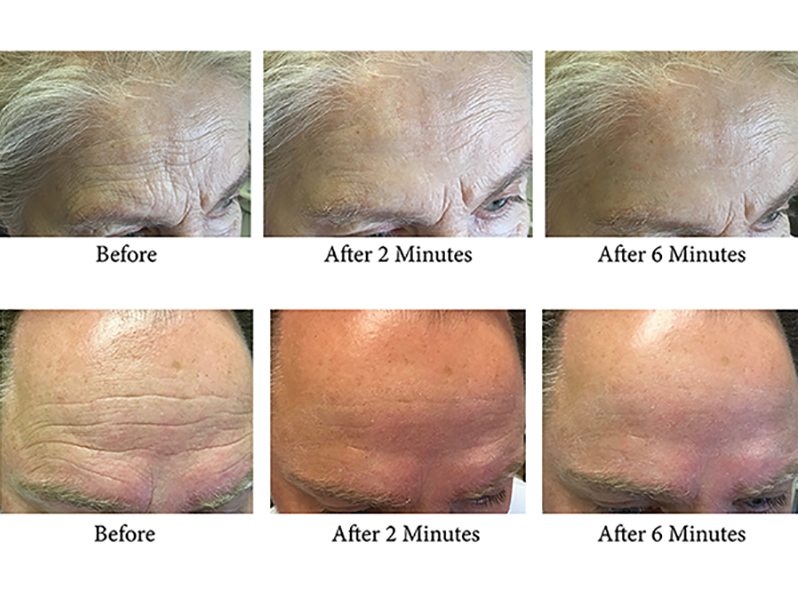 Improve the appearance of wrinkles within minutes. Within 6-8 minutes this topical cream decreases the appearance of fine lines and wrinkles for up to 8 hours and can be applied throughout the day as needed. With 20 vials in each box, continued use of the product for more than 7 days will produce longer lasting results. This product is allergen free, preservative free and NOT tested on animals. Key ingredient, Argireline®, also known as Acetyl Hexapeptide-8, works by blocking the Aceythylcholine and therefore blocking the transmission of the signal from nerve to muscle. This mode of action can be compared to Botulinum Toxin A, but as topical treatment as opposed to an injection. 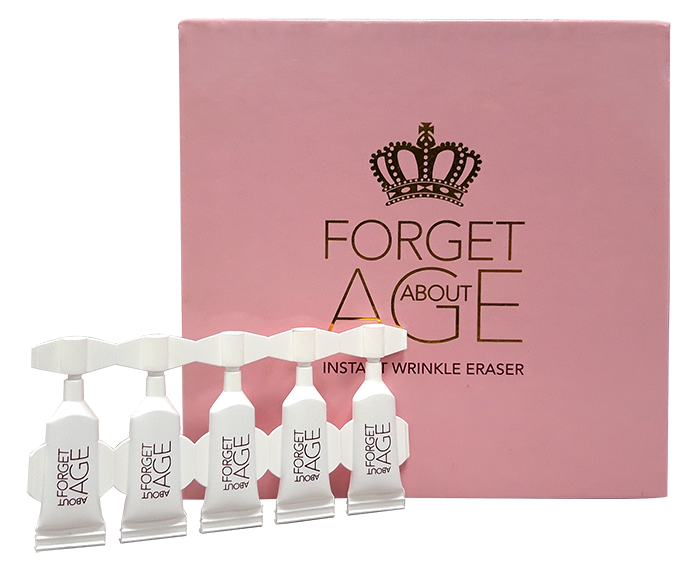 Forget About Age can be used in conjunction with wrinkle erasing injectables to help enhance your patients’ results.